We want to share our family’s story to help spread awareness of childhood cancer. We hope that one day no family needs to go through the trauma that still lives with my family. 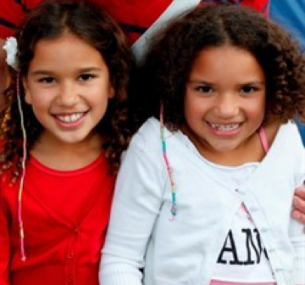 My husband Robert and I are the proud parents of two wonderful girls – Robyn and Jemma. When Robyn was just two and Jemma 10 months, our world went through a transformation that it will never recover from. 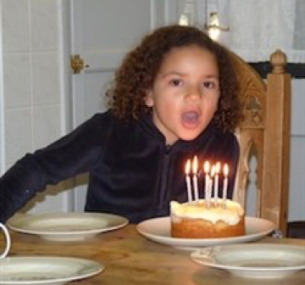 Jemma was diagnosed with acute lymphoblastic leukaemia (ALL). Not only was this terrifying – it was also an incredibly rare diagnosis for a young baby. I had taken Jemma to the doctors as a precaution when she hadn’t shifted a cold and had developed a rash. The doctor sent us to our local hospital. The consultant there ran some tests. He then gave us the devastating diagnosis, telling Robert and I that she had just a 50/50 chance of surviving. The diagnosis was shocking, the treatment horrendous. 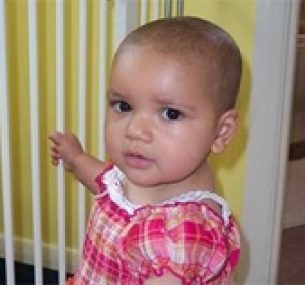 Jemma as a tiny baby spent two years having chemotherapy. The first three months as an inpatient in Great Ormond Street Hospital, then constantly in and out of our local hospital in Farnborough. How did we cope? It seems weird looking back – my husband had to keep on working and since he worked in London, he would commute on the train with two year old Robyn. He would get her to Great Ormond Street Hospital for 8am and pick her up at 6pm to take her home to her own bed. Even this simple act of a daily commute had issues. Morning commuters were not always receptive to a very talkative two-year-old in their carriage. On one journey Robyn announced to the carriage: “I’m going to Great Ormond Street to see my sister, she has leukaemia.” The silence in the train carriage that day was deafening. While Robert was at work I spent all day in a room caring for both my girls. We did this for more than three months. If someone asked me now to care for a sick baby and a toddler in one room every day, all day, I don’t think I could – yet you do, we did, and I know we are by no means the only family. All this happened back in 2003. This may seem to you like a long time ago, yet I don’t think we can ever go back to being the family we were before Jemma got sick. It has impacted our life in every way. A sick baby makes you feel an extreme protection, an incredible bond, as you are so aware that you could lose your child at any moment. I have a very vivid hospital memory – all the alarms were going off on the ward and the nurses told us to stay in our room. A child had stopped breathing. All the families just waited and hoped. It was OK, the child came through. But the scare really brought it home to all of us just how dangerous leukaemia is. The really lasting feeling for me is that I will never know whether Jemma is really OK. We still have to go to Great Ormond Street every year to check if she’s healthy. The dosage of chemotherapy she had as such a tiny baby means no one can know for sure what the long-term damage could be. I battle internally not to make too much of every bruise and every illness. I also ensure I concentrate on Robyn too – she went through a lot – and we must always make sure she knows that she is so special to us too. I think the point I’m trying to make is that although children do get better, Jemma is living testament, the long-term outcome of such toxic treatments is still not known. The long term effects on a family – well – I just don’t quite know how long they will be with us. What I do know is that Jemma is still with us because of the developments in medical research and for that my family is sincerely grateful. Jemma is doing really well, growing well and has a beautiful, calm and kind nature. I’m sure it is to do with her being ill as a baby. Her sister Robyn who will be 16 in April wants to become a doctor. She was nearly three when Jemma was in hospital. She can remember the time well and feels she wants to thank the doctors for saving her sisters life. Hence her career choice. I’d like to leave you on a positive note – I ran the London Marathon for the charity, and it was such a special day for all of us. It was a chance for my family to give back as we have received so much. I know I made my girls proud, and that means the world to me.